2-2.5 cm diameter seedling. KK1138 Totoral Bajo, Chile 100-200m. Tiny dark stem, black spines. Description: Copiapoa minima is an undescribed name (nomen nudum - Abbreviation n. n. A title lacking valid description). It was first named in 1987 by the Czech cactus trader Karel Knize, resident in Lima, Peru. It has been said that Knize gave most of the plants he collected/sold new names to increase sales. Knize never properly described his plants, he just gave them names and sold them. He deliberately hunted down unusual looking things so it can be difficult to characterise them in terms of the existing described species. 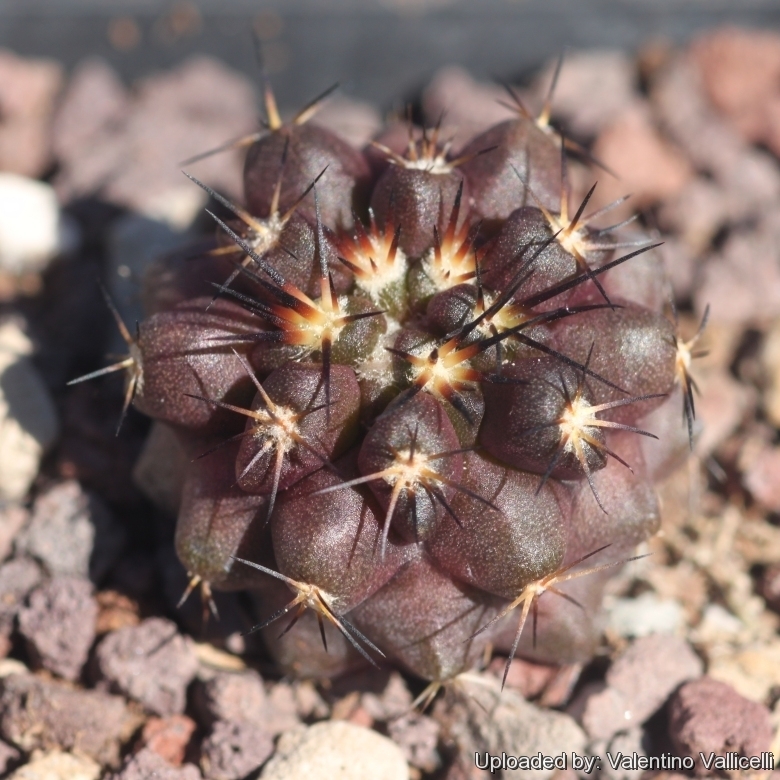 This “species” is somewhat similar to Copiapoa dura (Copiapoa echinoides), but Graham Charles in its “Cactus File Handbook: Copiapoa” lists “C. minima” nom. nud. as a Copiapoa cinerea form, but then who can say what it should really look like since Knize never described it.